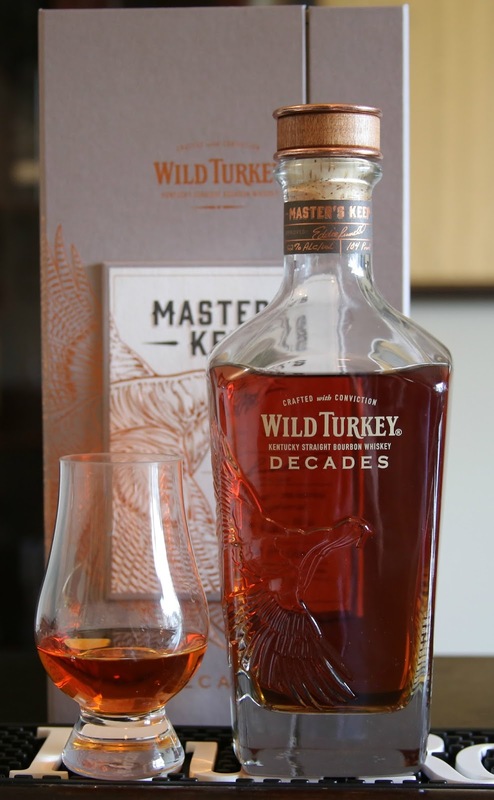 In 2015 Wild Turkey created Master’s Keep, a high end and limited edition bourbon. These barrels were hand-picked by Master Distiller Eddie Russell after aging for 17 years. Master's Keep is the oldest whiskey Wild Turkey has released to date. As expensive as it was intriguing, I decided not to buy a bottle as it was only 86 proof; I happily turned my head and focused on something else. Fast forward to Spring 2017, Master’s Keep Decades is the second premium bourbon released from Wild Turkey. The 10- 20 year-old barrels selected for Decades (also hand-picked by Eddie Russell), represent “the very best of two decades of bourbon making”. Bottled at 104 proof, this was bourbon I was excited to get my hands on! Nose: Caramel, butterscotch, oak, and smoke- very vibrant and inviting. Taste: Layers of sweetness, with milk chocolate, butterscotch, and caramel candies. Dried fruits, such as raisins and apricot add depth to the mid-palate; this is well-balanced bourbon. The mouth feel is thick. The legs of the bourbon run slow on my glass and are noticeably wide. A backbone of smoke and toasted oak keeps the sweetness in check. Finish: Long with a bright sweetness that dims into a dry, mouthwatering oak. Conclusion: The mingling of these younger and older barrels was executed very well. It’s vibrant bourbon with deep character. Master’s Keep Decades has exceeded expectations in regards to flavor profile, but I’m not happy with the price tag. Overall, this is a very good, one time purchase for any bourbon enthusiast, but if the phrase “limited edition” doesn’t create jubilant fireworks in your head, I can’t justify spending $150 on this one. 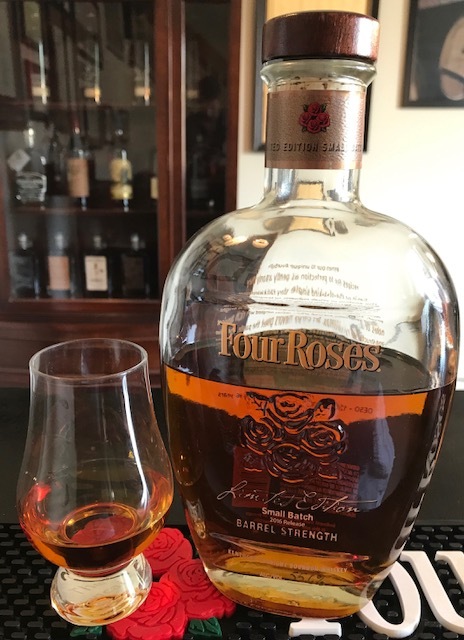 2016 marked the first release of Four Roses Limited Edition Small Batch bourbon blended exclusively by Master Distiller Brent Elliot. Brent noted this is the first time in more than seven years the OESO recipe has been included in a Limited Edition Small Batch. Bottled at barrel strength, 9,258 of these bottles hit shelves last September. Nose: Sophisticated with a plethora of fruits, predominantly green apples and cherries. Caramel, baking spices, and toasted oak bring balance to this fantastic aroma. Taste: Initial notes of crème brulee, vanilla, and dried fruits create a smooth entry. The mouthfeel is thick and warming, with bold layers of baking spices and sweet tobacco. Finish: The sweetness fades while the tobacco leaves your mouth watering. Conclusion: The 2016 release is delicious and well balanced. The flavors are bold and it drinks exceptionally smooth; always a feat for barrel proof bourbons. 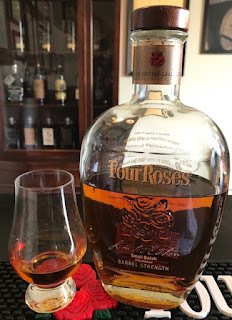 It may be my favorite Four Roses Limited Edition Small Batch to date- sorry 2012 release, you have been dethroned!